According to an open letter to the government of the Brussels-Capital Region signed by more than 100 Belgian doctors, scientists and health organisations, 600 people die prematurely every year in the city because of the high level of fine particles. The letter goes on to say that even non-smokers who live in Brussels has an increased chance of lung cancer and that the dirty air is dangerous for children, the elderly and the chronically ill in particular. Not only do the scientists and caregivers attribute more than 600 premature deaths in the region to polluted air annually, they say that more than 20% of hospital stays for patients with chronic obstructive pulmonary disease are directly related to air quality. The same is true, they say, of occurrences of bronchitis in young asthma patients. 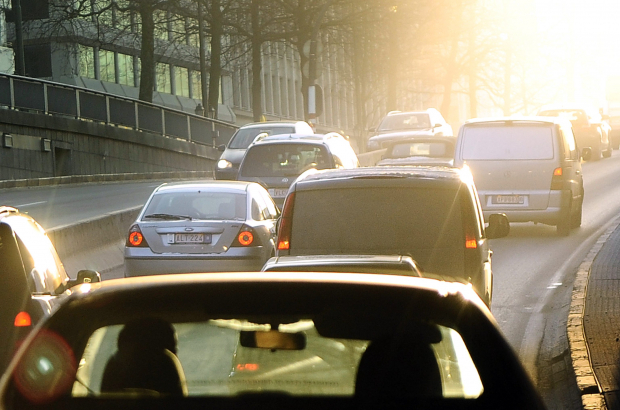 Traffic is responsible for much of Brussels pollution problem, a spokesperson told Bruzz. Suggested improvements are banning diesel engines, tax breaks for greener vehicles, an efficient public transport network and investments in cycling facilities and electric bicycles. Instead of switching off pollution monitors as they do now and pretending the problem doesn't exist, they should display the air quality stats at the roadside on big signs so that those who create it can see what they are causing.